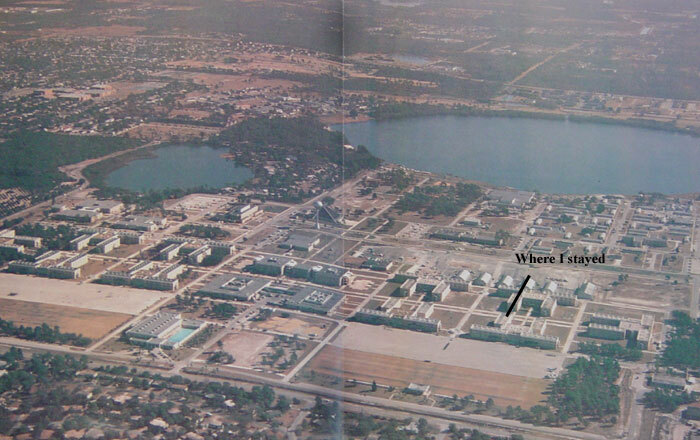 Bootcamp started for me on Sep of 1994 at RTC Orlando FL, or Recruit Training Command Orlando, Florida. There consist of one week of Indoc or where you do your paperwork and get your shots, and 8 weeks, 3 days of other trainings. Sometimes the company is held back for varias reasons. We were held for one week after our training days because we were waiting for the other company to finish with the training and we can all Pass-in-Review (graduation) together. Since RTC Orlando closed their door after our Pass-in-Review they wanted a big Pass-in-Review so they held our sister company and us back for one week to have 6 company Pass-in-Review together. That was good for me I think because I get to be in the last Pass-in-Review of Orlando, and not just that, but my Company Commanders let us go to USO for the entire week after our training so that was very relaxing. Another great thing about Orlando bootcamp verses Great Lakes, IL bootcamp is that we have Company party, Company shirt, Company Trip, and we also had a couple of days of liberty(time off) and I went to Disnyland with friends, and the second day went to watch a movie with a friend and his family who came to visit him.